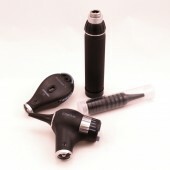 Riester ri-scope set L3 LED oto- / L2 LED ophthalmoscope 3,5 V with a plug-in handle GREAT OFFER! 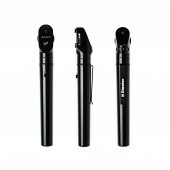 Riester ri-scope set L3 LED oto- / L2 LED ophthalmoscope 3,5 V with a plug-in handle. 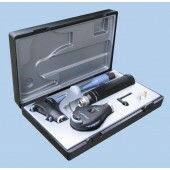 Basic set with L1 otoscope & ophthalmoscope head. 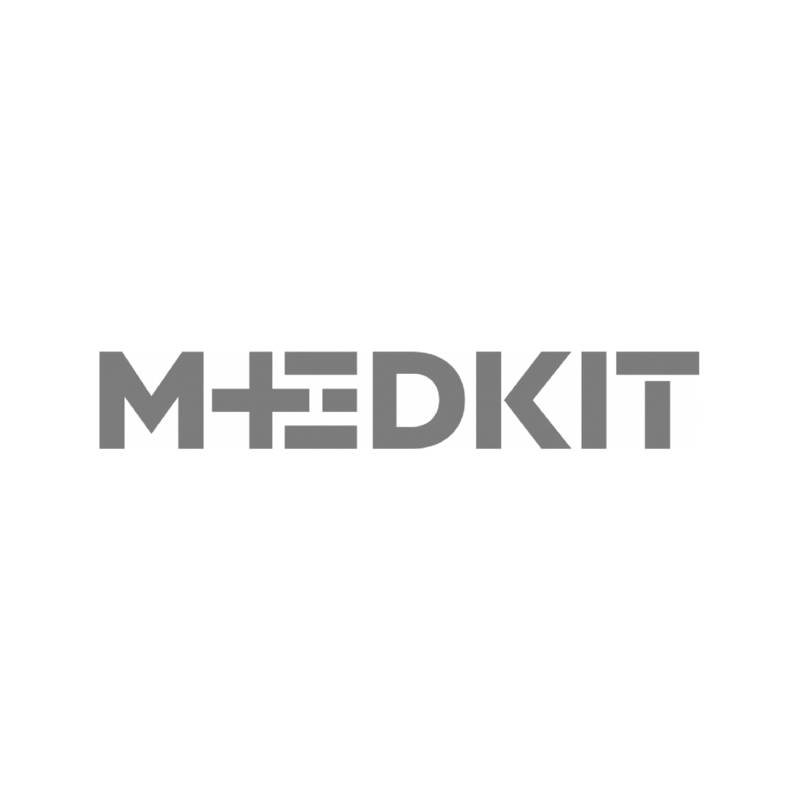 Battery handle Type C. Halogen lamps. 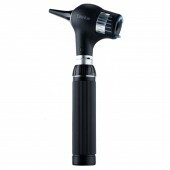 The EliteVue otoscope is setting the standards. 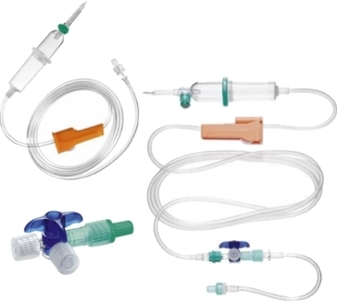 The EliteVue offers twice the field of view and 66% greater magnification compared to standard otoscopes. The maximized model with additional focussing device and 89 single-step diopter values. 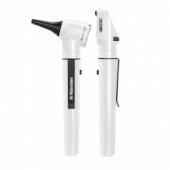 The Riester ri-scope L otoscope and ophthalmoscope set opens a new era in high-performance and user-friendly diagnostic instruments. Li-ion/LED technology and new high-performance instruments significantly reduce costs while improving both effectiveness and reliability. 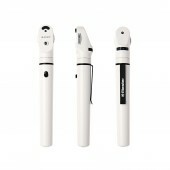 ri-scope L otoscope/ophthalmoscope. 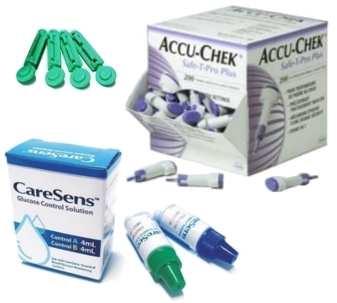 Tubes with 4 black, re-usable ear specula sizes 2 - 5 mm and each with 3 black 2.5-mm (L1/L2) or 2-mm (L3) and 4-mm disposable ear specula. 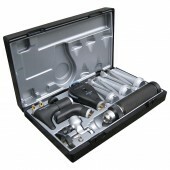 Deluxe hard case with safety catch. Two spare lamps, for Xenon sets only. The inexpensive F.O. 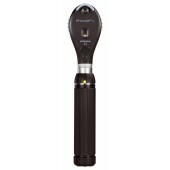 model with 2.5-V halogen, 3,5V xenon or 3.5-V LED lights.